The Notre Dame Integrated Imaging Facility (NDIIF) is pleased to announce two awards for best imaging publications for the calendar year 2016. The Best Electron Beam Imaging Publication 2016 is awarded to Christopher Shuck, a graduate student working with Professor A. Mukasyan in the Department of Chemical and Biomolecular Engineering. Shuck and coworkers published a paper entitled “Ni/Al Energetic Nanocomposites and the Solid Flame Phenomenon”. The study work used a Focused Ion Beam (FIB) instrument to collect thousands of images of the nanocomposite Ni/Al system with nanometer accuracy. 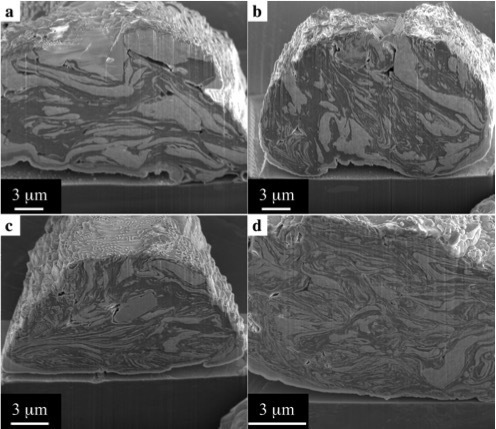 Using these images, the internal structure of the nanocomposite material was quantitatively analyzed using 3D reconstruction techniques. They determined surface contact between the reactants, layer thickness distributions, and then related them in a quantitative fashion to observed properties. The study was published in The Journal of Physical Chemistry C, 2016, 120, 27066. The Best Biological Imaging Publication 2016 is awarded to Dr. Eamonn Kennedy, apost-doctoral fellow collaborating with Professor G. Timp in the Departments of Electrical Engineering and Biological Sciences. E. Kennedy, E. Nelson, T. Tanaka, J. Damiano, and G. Timp. “Live Bacterial Physiology Visualized with 5nm Resolution Using Scanning Transmission Electron Microscopy.” ACS Nano, 2017, Volume 10, PP. 2669-2677. DOI: 10.1021/acsnano5b07697. Kennedy and coworkers published a paper entitled “Live Bacterial Physiology Visualized with 5 nm Resolution Using Scanning Transmission Electron Microscopy”. The study addressed a major limitation of transmission electron microscopy (TEM), that living cells cannot be maintained under the high vacuum imaging conditions. 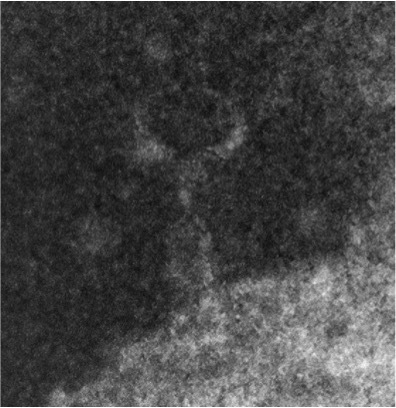 Combining live cell fluorescence microscopy with a new technique that permits TEM analysis within a sealed chamber of liquid held inside the Titan microscope, the team was able to visualize at nanometer resolution the infection of a living bacterial cell with bacteriophage virus without compromising cell viability. The study was published in ACS Nano, 2016, 10, 2669.E. Kennedy, Edward Nelson, T. Tanaka, J. Damiano, and G. Timp, "Live Bacterial Physiology Visualized with 5nm Resolution Using Scanning Transmission Electron Microscopy, ACS Nano 2016, Volume 10, pp. 2669-2677. DOI: 10.1021/acsnano.5b07697. Originally published by T. Bollinger per Bradley Smith, Director – NDIIF at imaging.nd.edu on April 12, 2017.